Letterpress Studio is a display typeface created by Emil Karl Bertel and published by Fenotype which is available in 18 styles. 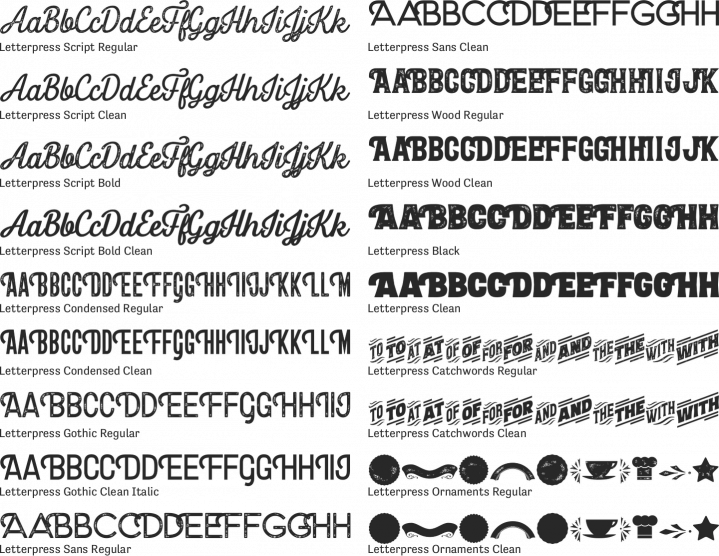 It contains a textured and clean version of each font along Ornaments and Catchwords. With a wide range of OpenType features and multilingual support, it merge well on both small & large size text. 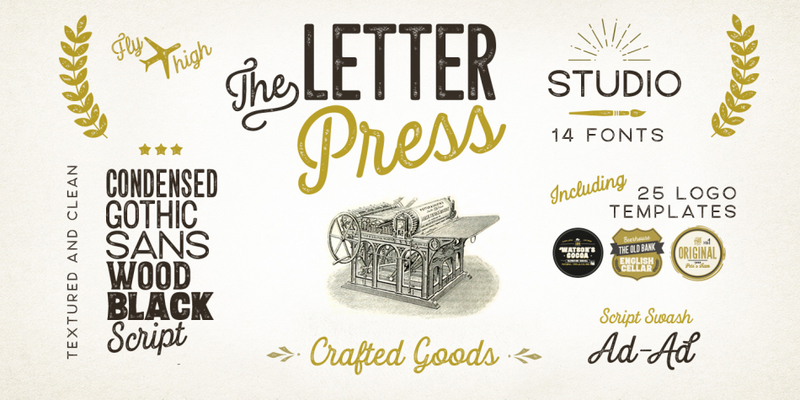 Get a look at Letterpress Studio! A font description published on Wednesday, November 1st, 2017 in Emil Karl Bertell, Fenotype, Fonts by Andrei that has 1,746 views.